Every month of the year is associated with a unique gemstone, each with a distinct colour, brightness, hardness, shape, size, weight and value. Birthstones are a beautiful and personal way to signify your birth month, with birthstones historically used in necklaces, rings and crowns. Birthstone gems are associated with bring good luck and protection to the owner. Month birthstones symbolise the month of birth according to the Gregorian calendar. 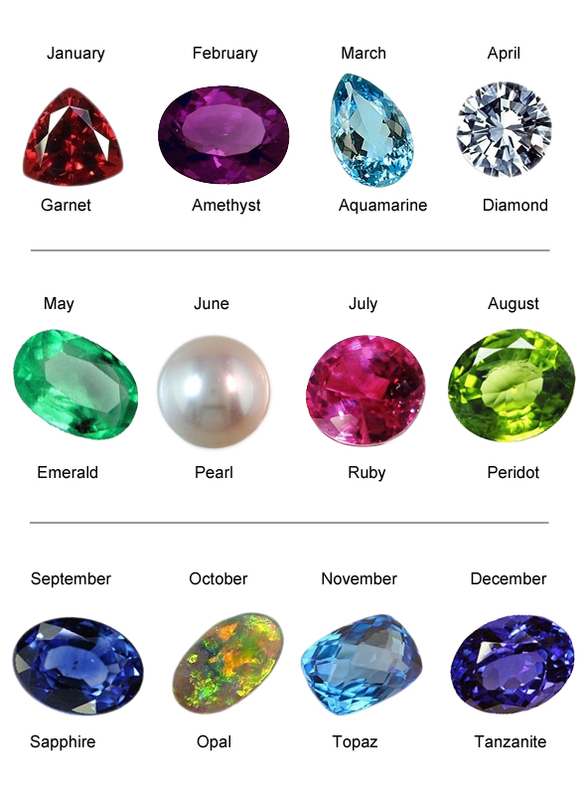 Click on the links below to read about each month's birthstone.